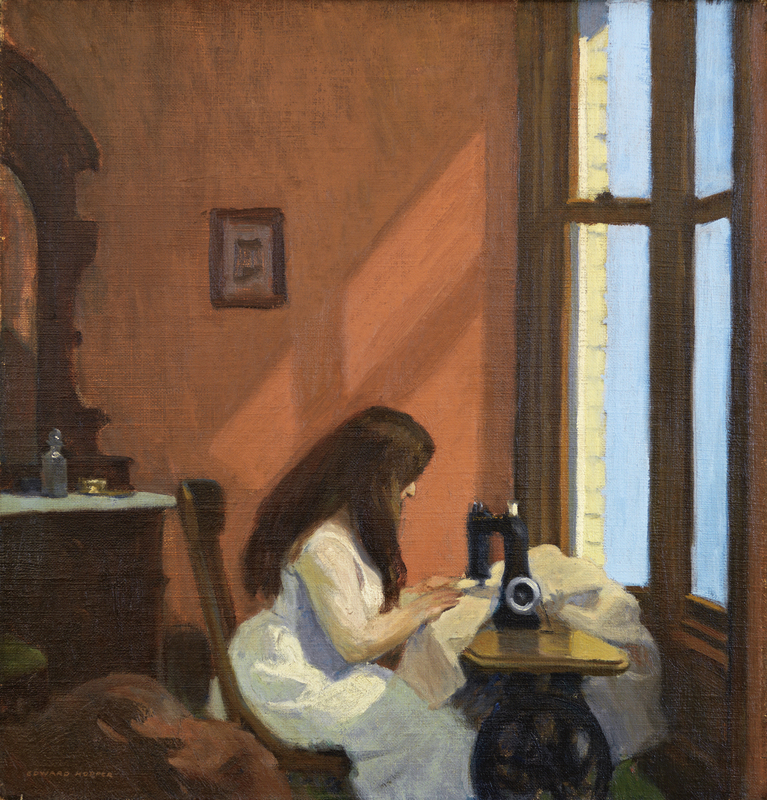 After working as a magazine illustrator for several years and travelling to Paris on various occasions, by the time he painted Girl at a Sewing Machine in 1921, Hopper had fully consolidated his style. In the centre of an urban domestic interior, a young woman with long hair that practically conceals her face is absorbed in working on a sewing machine by a window. The composition recalls similar indoor settings painted by seventeenth-century artists of the Dutch school, and also certain paintings by John Sloan, such as The Cot, which Hopper could have seen in the exhibition of The Eight in 1907. The present painting also bears a certain resemblance to the artist’s later works, especially the etching East Side Interior, executed in 1922. As in most of Hopper’s indoor scenes, light is the salient feature of the painting. In this case the action takes place on a clear, sunny day and the rays powerfully penetrate the interior, projecting a reflection on the flesh coloured far wall, which helps create a geometrical effect that is heightened by the quadrangular shapes of the window frame. 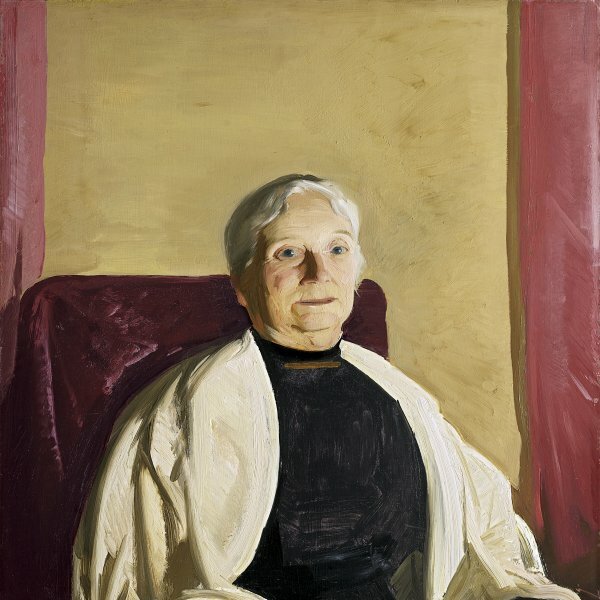 The light also causes the figure of the young woman in white to glisten in the dark interior. What might otherwise be a simple everyday scene is thus given a new dimension, and the solitary woman engrossed in her work becomes an embodiment of the alienation of the human being.